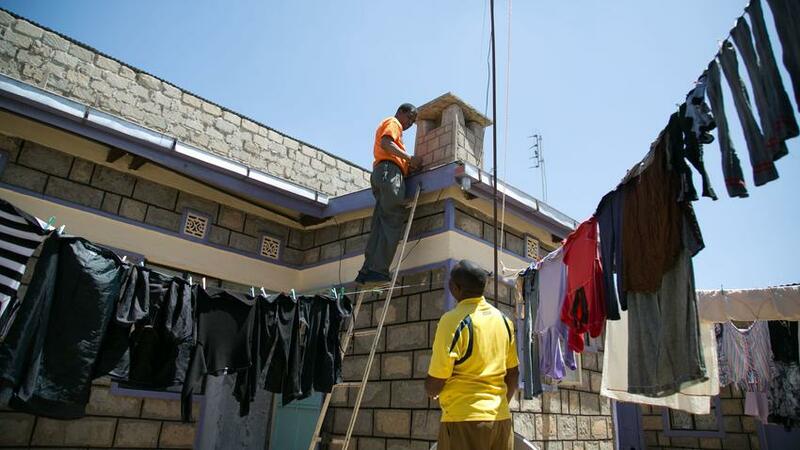 First, he climbed onto Gitonga’s roof, drilled a satellite dish onto the chimney, and dangled some wires through the door frame. He plugged it all into a StarTimes set-top box, and turned it on. Gitonga, 43, flipped through the channels, and Chinese programs filled the screen: an old kung fu movie, a Chinese news broadcast, a Chinese documentary about Japan’s wartime atrocities, most dubbed into English. Gitonga was elated. His new digital TV package gave him better reception than he’d once thought possible in Kajiado, a small town on the savannah where Masai tribesmen wander past rickety storefronts and goats cluster in the shade. Although StarTimes — a privately owned, Beijing-based media and telecommunications firm — is virtually unknown in the West, it has been sweeping across Africa since 2002, overhauling the continent’s broadcast infrastructure and beaming Chinese content into millions of homes. 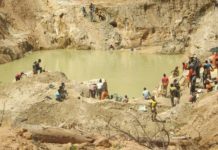 It has subsidiaries in 30 African countries, including such war-torn states as the Democratic Republic of Congo and the Central African Republic. “Our aim is to enable every African household to afford digital TV, watch good digital TV and enjoy the digital life,” StarTimes Vice Chairman Guo Ziqi told China’s official New China News Agency in December. But there’s a catch. StarTimes has substantial backing from the Chinese state — and an explicit political mandate. China’s relationship with Africa — for decades defined by resource-for-infrastructure deals — is evolving, as Africa becomes wealthier and China’s foreign policy objectives grow more ambitious. Beijing has invested billions of dollars into “soft power” campaigns aimed at convincing the world that China is a cultural and political success story. Yet beyond China’s borders, its heavily censored state media broadcasts go mostly unwatched; its newspapers go unread; and outsiders often continue to associate China with pollution, opacity and repression. StarTimes signals a change in tack, one that highlights the depth and complexity of Beijing’s efforts to win hearts and minds — with much of that effort now being directed at Africa, one of the world’s great emerging media markets. As a digital infrastructure provider, StarTimes is helping African states transition from analog television — a technology akin to FM radio, rife with snow, static and dropped signals — to digital, which ensures high-quality image and sound. As a pay-TV company, it is stacking its networks with pro-China broadcasts. As both, it is materially improving the lives of countless Africans, then making China’s role in those improvements impossible to ignore. Pang Xinxing, StarTimes’ chief executive, who could not be reached for comment, has told Chinese state media that he expanded to Africa to counter “exaggerated and biased reports” about China in the Western media. “There’s a mindfulness among China’s leadership that China doesn’t get fair treatment overseas, and something needs to be done about it,” Madrid-Morales said. StarTimes established its Kenyan subsidiary in 2012; now, it has 1.4 million subscribers, accounting for nearly half of Kenya’s pay-TV subscriptions. Its cheapest package, called “Novo,” costs about $4 per month. Novo features a mix of Kenyan and Chinese channels, including several belonging to the Chinesestate-run broadcaster, the China Global Television Network, or CGTN. 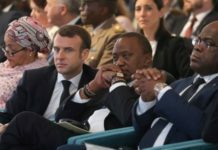 Access to other international channels, such as Al Jazeera, France 24 and BBC — which are more inclined to portray China in a negative light — costs more than most Kenyans can afford. In December 2016, StarTimes launched a “pilot program” in Kajiado “as part of its long-term agenda” to bring digital television to rural Kenyans, according to the state-run China Daily. The company gave free StarTimes set-top boxes and subscriptions to 120 households. Sun Zhijun, a Chinese vice minister overseeing propaganda and media censorship, traveled to Kajiado for the inaugural celebration. By January, StarTimes was everywhere in town — bright orange StarTimes advertisements glowed on schoolhouse walls, and StarTimes satellite dishes sprouted like carnations from corrugated sheet-metal roofs. The Kajiado project “is being subsidized by the Chinese government,” Mark Lisboa, StarTimes Kenya’s vice president of marketing, acknowledged, without giving an amount. The company “embarked on a massive sales drive” following Kenya’s switch to digital TV infrastructure in 2014, he said; it now employs 1,100 people, most of them Kenyan. He added that StarTimes will begin building an Africa headquarters, a dubbing center and production facilities within the year. “This is just the beginning, I’ll put it that way,” he said. China’s footprint across Kenya spreads far beyond access to the airwaves. As in the rest of Africa, China has been investing heavily in infrastructure. But as China’s impact deepens, Kenyans have often reacted with suspicion. They blame China for stealing local jobs. They fear that China — Kenya’s largest creditor — is saddling the country with unmanageable debt, and that Chinese infrastructure projects are endangering the country’s pristine national parks, some of the world’s most biodiverse. In late May, a Kenyan delegation signed a $2-billion deal with a Chinese firm for a 1,050-megawatt coal-fired power plant about 13 miles north of Lamu Old Town, a UNESCO World Heritage site and the oldest Swahili settlement in East Africa. Critics say the project could pollute the air, damage fishing grounds and push hundreds of residents off their land. Locals were outraged that the Chinese company, China Power Global, would import 40% of workers on the project from China. Lamu residents have staged silent protests, marching through the town bearing anti-coal placards, and though the Kenya National Environment Management Authority signed off on the project last year, the plant’s fate remains undecided. To get a sense of what’s at stake for China in Kenya, visit Nairobi National Park, a pristine nature preserve in the capital city’s shadow, where zebras graze against a backdrop of skyscrapers. China provided most of the funding, in loans and investment, for a $3.8-billion railway joining Nairobi and the Kenyan port city Mombasa, 380 miles away — part of which will cut through the park. The line opened in June; its high concrete pillars rise like a mirage from the dry, yellow savannah. The new train will travel at an average of 74 mph, cutting transportation time between the two cities from about 10 hours to five; it will transport 22 million tons of cargo per year. Ultimately, it could anchor a Chinese-backed rail network stretching into South Sudan, Uganda, Rwanda and Burundi, where transportation networks are now rudimentary, consisting mainly of dilapidated roads and remote airstrips. Improved access to ports could improve trade and open markets. But critics in Kenya say the railway is overpriced, costing a fifth of the national budget, and could put Kenya in debt for generations — 90% of the project was funded through loans from the Export-Import Bank of China, often known simply as China ExIm Bank. Some of the deliberations with government officials over the project happened behind closed doors, drawing accusations of corruption — though no one has offered much beyond suspicion. Environmentalists have raised a loud alarm about the rail line’s effect on wildlife. The flurry of initial construction is thought to have led to the deaths of 10 elephants. Several lions escaped from the park — one of which died — and some have blamed that, too, on the construction activity, though that’s less clear. 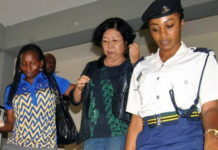 The controversies were barely reported by Chinese news outlets in Kenya. Those reports have tended to focus on the rail line’s efficiency, economic benefits and ambition. “The line is expected to speed up the transformation of the Eastern African region as a whole,” reported CGTN in September. Chinese business advocates paint Beijing’s media investments as a win-win for Chinese investors and African consumers — and an important prerequisite to China’s ongoing ambitions on the continent. How much impact China is achieving through its media investments remains unclear. Experts questioned whether Kenya’s StarTimes subscribers, while benefiting from StarTimes’ signal quality, were actually watching Chinese shows. Linus Kaikai, chairman of the Kenya Editors Guild and a manager at the Nairobi-based National Media Group, said Kenyan audiences have been shifting away from foreign content for years, as local shows grow more popular. To most Kenyans, he added, Chinese culture carries little cachet. David Mwangi, owner of a small shop in Kajiado, said he has learned to appreciate Chinese news reports. “BBC is shallow. But [CGTN] has more, a lot of African stuff,” he said. “I thought China was a small country, but now I know it’s a big country with a lot of technology and infrastructure. “China is improving a lot,” he continued, glancing at his television. He paused, briefly. “China has conquered Kenya,” he said. Previous articleChina-Africa Relations: At a Crossroads?